14 листопада у Женеві відбулось паралельне засідання Універсального періодичного огляду в Україні. У заході взяли участь Уповноважений Верховної Ради України з прав людини Валерія Лутковська та представники українських правозахисних організацій, зокрема Українська Гельсінська спілка з прав людини. Представниця УГСПЛ виступила з доповіддю щодо перехідного правосуддя (Transitional justice). UHHRU documents the war crimes in Eastern Ukraine and gathers the evidences of Human Rights violations, committed by Russian and local armed groups. Based on all this information, our lawyers had completed recently the submission to the International Criminal Court. As well we are providing the legal support to the war victims. Having those experience, we have to fix the fact, that unfortunately, the Ukrainian state still failed to fulfill their positive obligations to protect the population in accordance with the Geneva Conventions and the Convention on Human Rights. 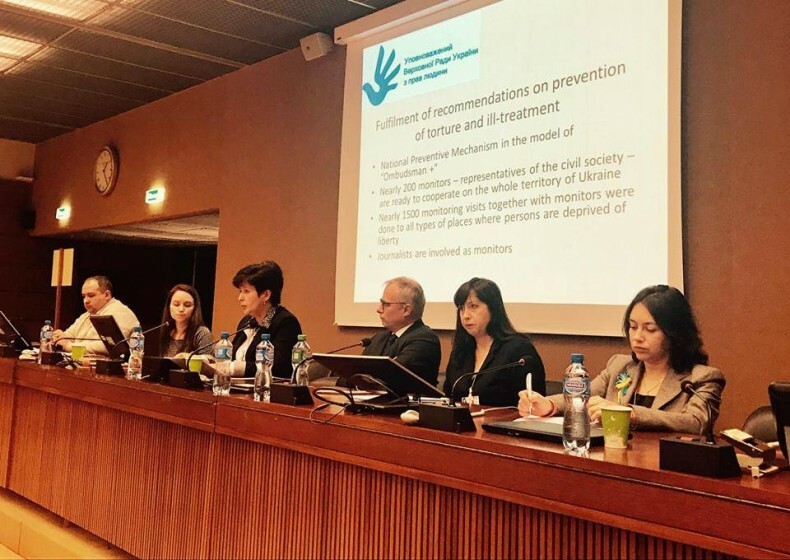 The challenges of the hybrid-armed conflict, imposed by Russia, revealed the un-effectiveness of the traditional criminal justice system in protection of fundamental human rights. Thus, the investigation of all crimes, committed in the conflict zone, is not coordinated properly among three different bodies - the General Prosecutor's Office, the Security Service and the Ministry of Internal Affairs of Ukraine in accordance with their jurisdiction. Current situation in investigative bodies shows that state is not interested in justice in the time of armed conflict. Specialized investigation department is using for investigations of all kind of offences besides was crimes. Lack of coordination between state bodies on collecting evidences, in addition with the specialized investigative techniques and education of staff gives us no opportunity to draw up a comprehensive scope of Human Rights violations under military conflict, as well - brings to justice those responsible for the extrajudicial executions, torture, unlawful imprisonment during armed conflict. Ukraine justice system is focused on trials in absentia besides using mechanisms of universal jurisdiction and submissions to the ICC. Also for this reason, Ukraine is unable to effectively investigate the facts concerning the forced displacement of the population in the annexed Crimea and illegal confiscation of citizens' property. This situation leads to another negative result – absence of joint national-wide database, which could be a central point for establishing a comprehensive and objective record of the human rights situation in Ukraine. At present Ukraine has no valid database of people who died during the conflict, missing persons and prisoners of war on both sides, of damaged real estate. Documentation activities, conducting by different state authorities and NGOs, have their own drawbacks and don’t work in synergy mode. Consolidated efforts of the State and civil society sector could lead to creating of such database as the unified national-level mechanisms for documenting human rights violations under the armed conflict and occupation. Such documenting as a part of the transitional justice process, will serve as an important tool that allows preventing manipulation of information for the political purposes. 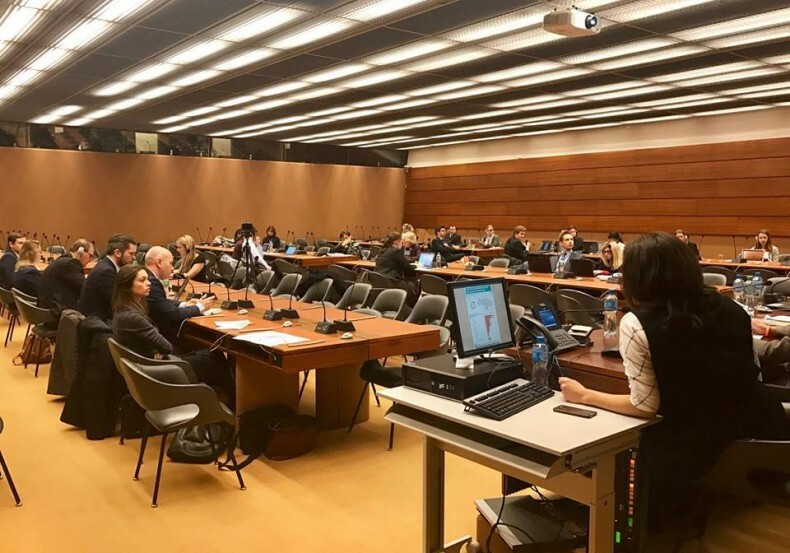 Lack of cooperation and absence of valid database are one of the most important reasons for the absence of an official procedure for the exchange of prisoners of war and the return of people from places of detention in the occupied territories. Most probably, the separation of the prisoners of war exchange’ process from economic, military and political aspects within the Minsk negotiations could be indicated to the Ukrainian authorities as a necessary aspect. Ukraine must initiate creation of separate platform on release political prisoners and those who detained on political motives. Ukraine needs to adopt a national conflict settlement strategy (a plan), which should include, inter alia, a state consolidated policy on all persons who have the status of “protected persons” under IHL. In order for the state of Ukraine to be able to ensure the rights of its citizens are adhered while they are in detention and their safe return by way of prisoner swaps, it must first ensure that there is an appropriate legislative framework is in place. Firstly, Ukraine must adopt the law that will provide for the conflict qualification and secondly, it must define status of the Ukrainian citizens currently under the control of the RF. 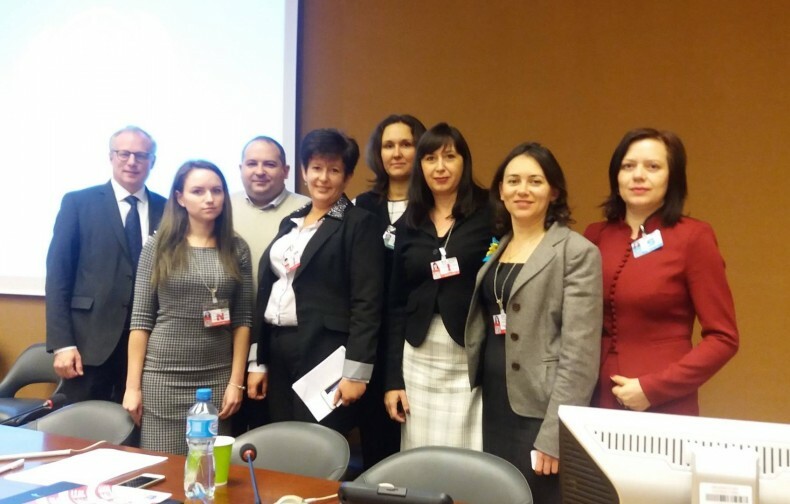 Basic human rights standards is not considered on draft law on reintegration of occupied territories. Due to this situation, UHHRU consistently proposes to search the solution for Human rights problems, related to the military conflict, with a national model of Transitional Justice. The world experience of post-conflict countries convinces us - such a model could harmonize the state activities in all relevant directions - criminal prosecution, protection of victims of war, compensation, impartial documenting and truth-telling. Unfortunately, despite the NGOs’ efforts in this area (conferences, publications, educational courses) the term Transitional Justice is known only to very few parliamentarians. To harmonize the national legislation with international humanitarian law, to strengthen the process of war crimes investigation through proper coordination between law enforcement agencies, unification of databases and cooperation with international bodies. To adopt the law on status of the Ukrainian citizens currently under the control of the RF. To apply necessary efforts to develop the legal mechanisms for the swap of prisoners, separating the process of exchange of prisoners of war from economic, military and political aspects within the Minsk format of negotiations. To support the civil society initiatives to implement the Transitional Justice mechanisms in the work of law enforcement and judicial bodies of Ukraine. To direct the expert potential for the developing of national model for Transitional Justice approach (truth-telling and reconciliation mechanisms; centralized database, documentary recovery of events, bringing to justice the persons, responsible for the war crimes). To strengthen the ability of Ukrainian specialists who work in the field of documenting and investigating of war crimes and the international humanitarian law’ violations through educational specialized programs. To provide active efforts on Security Sector reform, developing of relevant policies and strategies to protect the right to life of the population during military and emergency situations. На панельній дискусії було розглянуто ситуацію щодо захисту фундаметальних прав в Україні у світлі нових викликів у галузі прав людини. Серед іноземних представників у заході взяли участь делегати місій Канади, Данії, Німеччини, Швейцарії та інших держав. Представники української делегації в Женеві. Фото – ПРООН в Україні.